mental illness – Eski Caterpillar! Here’s Your Next Song, 5 Seconds of Summer! So, on a YouTube wander, I found myself watching Belgian interviewer, Jolien Roets, interviewing the band. Some of it’s funny, if a bit risqué; some entertaining. Towards the end, the interviewer tells the guys about the Belgian Red Nose Day, part of which is raising money and awareness for mental illness in young people. Jolien then asks if 5SOS have ever experienced that sort of thing. A couple of the guys answer quickly enough that they have, but no details are given as to what. Ashton Irwin follows up with more, saying that he doesn’t think that they (5SOS) ought to talk about their own experiences, but that they do know that it’s (depression etc) a prevalent thing and that as public figures, it is their role to talk about and sing about it. AGREED, thanks guys! Throughout this year, there have been articles on band member Michael Clifford’s mental health; his visit to a therapist and the fans support of him during this time, proving that the group’s followers agree that sharing is caring. I want to add my support to that already given, Michael. I know first hand what it’s like to ride the ups and downs of the rollercoaster (Read about my personal experience here) and of supporting someone who is living it (My son’s story from my perspective and in his own words). I can only imagine what living it out in the public eye must be like. Good for you for sharing about it and for all who support you. Keep it up! Anyway, back to the title of this blog. With all of the above in mind, and ESPECIALLY since hearing the new album, “Sounds Good, Feels Good,” I’ve been inspired to write you lyrics for a new song that you might like to include in an upcoming album?? That bit is up to you, but here we go. I love the sound of the new album and I know that you’ll do an amazing job of transforming these lyrics into a song with energy, anger, sadness and love – all the things I’ve felt over the past 25 years and tried to put into these words. 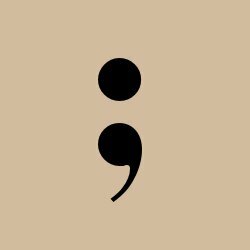 I’ve written two versions of the song; one from the perspective of the person suffering (hate that word) the mental illness and one from their perspective of someone who loves them and is trying to help. I couldn’t decide which one I most wanted to share. Which, and if, you decide to do anything with is up to you. If you do, credit me? Maybe people will stumble across my blog and these will be a comfort to them, and I’ll be ok with that, that’s what they’re for. Understand I need to be alone. I can’t be left alone. Invite me even though I’ll say no. When the best conversations we have are by text. Sleepless and restless; tired but wired. I don’t want to get out of bed today – maybe I can’t. I want to tell you it’s going to be ok even when I don’t think it is. I want to hold you close and say I love you through both of our tears. I want to tell you I love you even though you won’t believe me. I’ll invite you even though I know you’ll say no. I’ll take you to places though we’ll have to go home. On days where your blanket is closer than me. Where you just want to snuggle, but with your pillow, not me. I’ll try to understand when you don’t answer my calls; when the best conversations we have are by text. Anyone reading this – these are for you. The comforter and the uncomfortable; the alone, lonely or loner. You aren’t alone. There are people who feel the same and people who love you. People who want to stop, or help, the “Private War.” I promise. 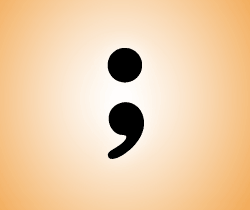 See HERE for more details on why I’m choosing a semicolon at all. I’d love to know your preference. Comment below with your favourite number and tell me why if you’d like to. In just over a week, I am going to a tattoo parlour with three of my friends to be inked with my first tattoo. 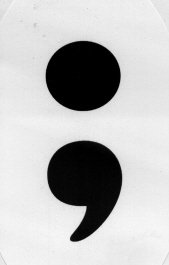 Since writing this post, “Permanent Ink,” I have found, once again, that people need someone to talk to. Sharing such a tiny part of my story has opened the gates for friends and acquaintances to ‘feel ok’ to talk about their own emotional story. So, for those of you who still aren’t sure why I would choose to get a tattoo; I, who change my mind about what I like more often than others change knickers; I, who have a needle phobia; I, who do not have a style and if I did, it wouldn’t be a tattoo that was the symbol of it; here’s why. 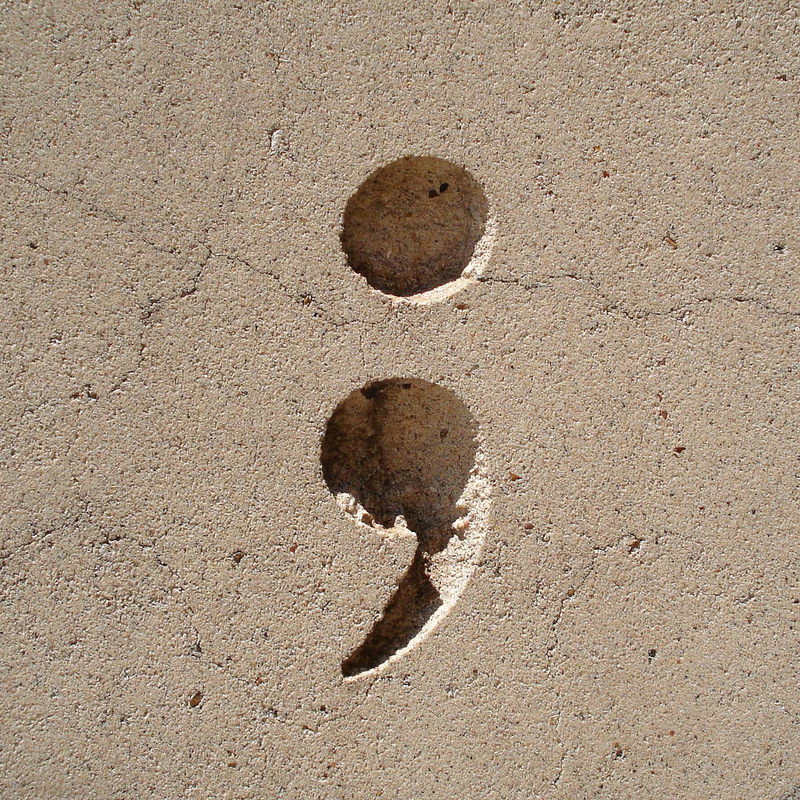 Today, I read this article and last fortnight I read this blog post and in between I’ve read about The Semicolon Project. And that’s why, next week, I will be voluntarily extending my hand for permanent ink.